Aksu Z, Sag Y, and Kutsal T (1992). The biosorption of copper (II) by C. vulgaris and Z. ramigera. Environ. Technol. 13:579-586. Al-Asheh S and Duvnjak Z (1992). Adsorption of copper and chromium by Aspergillus carbonarius. Biotechnol Prog 11:638-642. Alexander M (1999). Biodegradation and Bioremediation, 2nd Ed. San Diego, CA: Academic Press. Amer SI (1998). Treating metal finishing wastewater. Environ. Technol. (March/April):56-60. Ashkenazy R, Gottlieb L, and Yannai S (1997). Characterization of acetone-washed yeast biomass functional groups involved in lead biosorption. Biotechnol Bioeng 55:1-10. Beveridge TJ (1986). The immobilization of soluble metals by bacterial walls. In: Ehrlich HL, Holmes DS eds. Biotechnology and Bioeng. Symp. No. 16: Biotechnology for the Mining, Metals, Refining and Fossil Fuel Processing Industries. New York: J. Wiley Interscience. pp 127-140. Beveridge TJ, Hughes MN, Lee H, Leung KT, Poole RK, Savaidis I, Silver S, and Trevors JT (1997). Metal-microbe interactions: contemporary approaches. In: Poole RK ed. Adv in Microbial Physiology. Vol. 38. London: Academic Press. pp 177-243. Blackwell KJ, Singleton I, and Tobin JM (1995). Metal cation uptake by yeast: a review. Appl Microbiol Biotechnol 43:579-584. Brady D and Duncan JR (1993). Bioaccumulation of metal cations by Saccharomyces cerevisiae. In: Torma AE, Apel ML, Brierley CL eds. Biohydrometallurgical Technologies. Vol. 2. Warrendale, PA: The Minerals, Metals & Materials Society. pp 711 -724. Brady D, Stoll A, and Duncan JR (1994). Biosorption of heavy metal cations by non-viable yeast biomass. Environ Technol 16:429-438. Brierley CL and Brierely JA (1993). Immobilization of biomass for industrial applications of biosorption. In: Torma AE, Apel ML, Brierley CL eds. Biohydrometallurgical Technologies. Vol. II. Warrendale, PA: The Minerals, Metals and Materials Soc. pp 61 -72. Brombacher C, Bachofen R, and Brandl H (1997). Biohydro-metallurgical processing of solids: a patent review. Appl Microbiol Biotechnol 48:577-587. Bustard M and McHale AP (1997). Biosorption of uranium by cross-linked and alginate immobilized residual biomass from distillery spent wash. Bioprocess Eng 17:127-130. Bustard M, Donnellan N, Rollan A, and McHale AP (1997). Studies on the biosorption of uranium by a thermotolerant, ethanol-producing strain of Kluyveromyces marxianus. Bioprocess Eng 17:45-50. Cabral JSP (1992). Selective binding of metal ions to Pseudomonas syringae cells. Microbios 71:47-53. Cotoras D, Viedma P, and Pimental J (1993). Biosorption of metal ions by attached bacterial cells in a packed-bed bioreactor. In: Torma AE, Apeland ML, Brierley CL eds. Biohydro-metallurgical Technologies. Vol. 2. Warrendale, PA: The Minerals, Metals and Materials Society. pp 103-110. Crusberg TC (1996). Expectations for commercial adoption of new heavy metal bioremediation technologies. In: Wise D ed. Global Environmental Biotechnology. The Netherlands: Kluwer Acad Publ pp 347-354. Conference Proceedings. Beltsville, MD: Hazardous Materials Control Research Institute. pp 266 -270. Crusberg TC, Gudmundsson G, Moore SC, Weathers PJ, and Biederman RR (1994). Structural analysis of a fungal biotrap for removal of heavy metals from wastewaters. In: Cheremisinoff PN, Wu YC eds. Hazardous Waste Management Handbook: Technology, Perception and Reality. Englewood Cliffs, NJ: PTR Prentice Hall. pp 213 -224. Cuero RG (1996). Enhanced heavy metal immobilization by a bacterial-chitosan complex in soil. Biotechnol Lett 18:511-514. Cunningham JE and Kuiack C (1992). Production of citric and oxalic acids and solubilization of calcium phosphate by Penicillium bilaii. Appl Environ Microbiol 58:1451-1458. Delgado A, Anselmo AM, and Novais JM (1998). Heavy metal biosorption by dried powdered mycelium of Fusarium flocciferum. Water Environ Res 70:370-375. Dias MA, Lacerda ICA, Pimentel PF, deCastro HF, and Rosa CA (2002). Removal of heavy metals by an Aspergillus terrus strain immobilized in a polyurethane matrix. Lett Appl Microbiol 34:46-50. Erlich HL and Brierley CL (1990). Microbial Mineral Recovery. New York: McGraw Hill. Farkas V (1980). Biosynthesis of cell walls of fungi. Microbiol Rev 43:117. Figueira MTM, Volesky B, and Ciminelli VST (1997). Assessment of interface in biosorption of a heavy metal. Biotechnol Bioeng 54:344-350. Forster CF and Wase DAJ (1997). Biosorption of heavy metals: an introduction. In: Biosorbents for Metal Ions. London: Taylor and Francis. pp 1-10. Fourest E and Roux JC (1992). Heavy metal biosorption by fungal mycelia byproducts: mechanisms and influence of pH. Appl Environ Biotechnol 37:399-403. Gadd GM and DeRome L (1988). Biosorption of copper by fungal melanine. Appl Microbiol Biotechnol 29:610-617. Gadd GM and White C (1993). Microbial treatment of metal pollution—a working biotechnology. Trends Biotechnol 11:353-359. Gadd GM, White C, and deRome L (1998). Heavy metal and radionuclide uptake by fungi and yeasts. In: Norris PR, Kelly DP eds. Biohydrometallurgy. Wilts, UK: A. Rowe Chippenha. Galun MZE, Galun BZ, Siegel P, Keller P, Lehr H, and Siegel SM (1987). Removal of metal ions from aqueous solutions of Penicillium biomass: kinetic and uptake parameters. Water, Air Soil Pollut 33:359-371. Gretsky PJ (1994). Selection of cost effective and environmental sound remedial alternatives based on risk assessment derived cleanup levels. In: Cheremisinoff PN, Wu YC eds. Hazardous Waste Management Handbook: Technology, Perception and Reality. Englewood Cliffs, NJ: PTR Prentice Hall. pp 1-15. Griffin DH (1994). Fungal Physiology, 2nd Ed. New York: Wiley-Liss. Haas H, Redl B, Leitner E, and Stoffler G (1991). Penicillium chrysogenum extracellular acid phosphatase: purification and biochemical characterization. Biochim Biophys Acta 1074:392-397. Hartley J, Cairney JWG, and Meharg AA (1997). Do ecto-mycorrhizal fungi exhibit adaptive tolerance to potentially toxic metals in the environment? 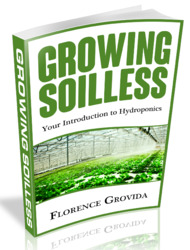 Plant Soil 189:303-319. Huang CP, Huang CCP, and Morehart AL (1990). The removal of Cu(II) from dilute aqueous solutions by Saccharomyces cerevisiae. Water Res 24:433-439. Jennet JC and Wixson BG (1983). Geochemistry, mining and the environment. Miner Environ 5:39-53. Juang R-S, Wu F-C, and Tseng R-L (1999). Adsorption removal of copper(II) using chitosan from simulated rinse solutions containing chelating agents. Water Res 33:2403-2409. Kapoor A and Viraraghavan T (1995). Fungal biosorption—an alternative treatment option for heavy metal bearing wastewaters: a review. Bioresour Technol 53:195-206. Kapoor A and Viraraghavan T (1997).Wase J, Forster C eds. Biosorbents for Metal Ions. London: Taylor and Francis. pp 67-85. Kapoor A, Viraraghavan T, and Cullimore DR (1999). Removal of heavy metals using the fungus Asperigillus niger. Bioresour Technol 70:95-104. Liu Zhang He XB, Zhang P, and Chai Z (2001). Selection of highbiomass, chromium-rich yeast strain and optimization of cultivation conditions. J Ind Microbiol 27:195-198. Lovley DR, Phillips EJ, Gorby YA, and Landa ER (1991). Microbial reduction of uranium. Nature 350:413-416. Macaskie LE (1991). The application of biotechnology to the treatment of wastes produced from the nuclear fuel cycle; biodegradation and bioaccumulation as a means of treating radionuclide containing streams. Crit Rev Biotechnol 11:41-112. Macaskie LE and Dean ACR (1990). Metal sequestering biochemicals. In: Volesky B ed. Biosorption of Heavy Metals. Boston: CRC. pp 199-248. Mattuschka B and Straube G (1993). Biosorption of metals by waste biomass. In: Torma AE, Apel ML, Brierley CL eds. Biohydrometallurgical Technologies. Warrendale, PA: The Mineral, Metals & Materials Society. pp 125-132. Morley GF and Gadd GM (1995). Sorption of toxic metals by fungi and clay materials. Mycol Res 99:1428-1439. Mukherjee P, Ahmad A, Mandal D, Senapati S, Sainkar SR, Khan MI, Ramani R, Parischa R, Ajayakumar PV, Alam M, Sastry M, and Kumar R (2001). Bioreduction of AuCl4- ions by the fungus Verticillium sp. and surface trapping of the gold nanoparticles formed. Angew Chem Int Ed 40:3585-3588. Nies DH (1999). Microbial heavy-metal resistance. Appl Microbiol Biotechnol 51:730-750. Niu H, Xu XS, Wang JH, and Volesky B (1993). Removal of lead from aqueous solutions by Penicillium biomass. Biotechnol Bioeng 42:785-787. Norberg AB and Persson H (1984). Accumulation of heavy metal ions by Zoogloea ramigera. Biotechnol Bioeng 26:239-246. Omar NB, Merroun MT, Gonzles-Munoz MT, and Arias JM (1996). Brewery yeast as a biosorbent for uranium. J Appl Bacteriol 81:283-287. Ow DW (1996). Heavy metal tolerance genes: prospective tools for bioremediation. In: Wise DL ed. Global Environmental Biotechnology. Amsterdam: Elsevier Science. pp 411-425. Ow DW (1997). Heavy metal tolerance genes: prospective tools for bioremediation. In: Wise DL ed. Global Environmental Biotechnology. The Netherlands: Kluwer Academic Publ. pp 411-425. Puranik PR and Paknikar KM (1999). Influence of co-cations on biosorption of lead and zinc-a comparative evaluation in binary and multimetal systems. Bioresour Technol 70:269 - 276. Puranik PR, Chabukswar NS, and Paknikar KM (1995). Cadmium biosorption by Streptomyces pimprina waste biomass. Appl Microbiol Biotechnol 43:1118-1121. Price MS, Classen JJ, and Paynhe GA (2001). Aspergillus nicer absorbs copper and zinc from swine wastewater. Bioresour Technol 77:41-49. Rao CRN, Iyengar L, and Venkobachar C (1993). Sorption of copper(II) from aqueous phase by waste biomass. J Environ Eng Div Am Soc Civil Eng 119:369-377.
deRome L and Gadd GM (1987). Copper adsorption by Rhizopus arrhizus, Cladosporium resinae and Penicillium italicum. Appl Environ Microbiol 26:84-90. Sag Y and Kutsal T (1996). The selective biosorption of chromium(VI) and copper(II) ions from binary metal mixtures by R. arrhizus. Proc Biochem 31:561-572. Sag Y, Atacoglu I, and Kutsal T (1999). Simultaneous biosorption of chromium(VI) and copper(II) on Rhizopus arrhizus in packed column reactor: application of the competitive Freundlich model. Sep Sci Technol 34:155-171. Sag Y, Yalcuk A, and Kutsal T (2000). Mono and multi-component biosorption of heavy metal ions on Rhizopus arrhizus in a CFST. Process Biochem 35:787-799. Sag Y, Yalcuk A, and Kutsal T (2001). Use of a mathematical model for prediction of the performance of the simultaneous biosorption of Cr(VI) and Fe(III) on Rhizopus arrhizus in a semi-batch reactor. Hydrometallurgy 59:77-87.
dvan Say R, Denizli A, and Yakup M (2001). Biosorption of cadmium(II), lead(II) and copper(II) with the filamentious fungus Phanerochaete chrysosporium. Bioresour Technol 76:67-70. Sayer JA and Gadd GM (1997). Solubilization and transformation of insoluble inorganic metal compounds to insoluble metal oxalates by Aspergillus niger. Mycol Res 101:653-661. Sayer JA, Cotter-Howells JD, Watson C, Hillier S, and Gadd GM (1999). Lead mineral transformation by fungi. Curr Biol 9:691-694. Schiewer S and Volesky B (1996). Modeling multi-ion exchange in biosorption. Environ Sci Technol 30:2921-2927. Schiewer S and Wong MH (1999). Metal binding stoichiometry and isotherm choice in biosorption. Environ Sci Technol 33:3821 -3828. Siegel SM, Siegel BZ, and Clark KE (1980). Biocorrosion: solubilization and accumulation of metals by fungi. Water, Air Soil Pollut 19:229-236. Silver S (1998). Genes for all metals—a bacterial view of the periodic table. The 1996 Thom award lecture. J Ind Microbiol 20:1-12. Singleton I, Wainwright M, and Edyvean RGJ (1990). Some factors influencing the adsorption of particulates by fungal mycelium. Biorecovery 1:271-289. Smith LA, Means JL, Chen A, Alleman B, Chapman CC, Tixier JS, Jr, Brauning SE, Gavaskar AE, and Royer MD (1995). Remedial Options for Metals-Contaminated Sites. New York: CRC Lewis Publ, Inc.
Suhasini IP, Srimm G, and Sureshkumar GK (1999). Nickel biosorption from aqueous systems: studies on single and multimetal equilibria, kinetics, and recovery. Sep Sci Technol 34:2761 -2779. Tait K, Sayer JA, Gharieb MM, and Gadd GM (1999). Fungal productioni of calcium oxalate in leaf litter microcosms. Soil Biol Biochem 31:1189-1192. Tobin JM, Cooper DM, and Neufeld RJ (1984). Uptake of metal ions by Rhizopus arrhizus biomass. Appl Environ Microbiol 47:821-824. Townsley CC and Ross LS (1985). Copper uptake by Penicillium spinulosum. Microbios. 44:125-132. Townsley CC, Ross LS, and Aiken S (1986). Lawrence RW, Branion RMR, Ebner HG eds. Biorecovery of Metallic Residues from Various Industrial Effluents Using Filamentous Fungi. Amsterdam: Elsevier. pp 279-289. Tsekova K and Ilieva S (2001). Copper removal from aqueous solution using Aspergillus niger mycelia in free and polyurethane-bound form. Appl Microbiol Biotechnol 55:636-637. Tsekova K, Galabova D, Todorova K, and Ilieva S (2002). Phosphatase activity and copper uptake during growth of Aspergillis niger. Process Biochem 37:753-758. Turner JS and Robinson NJ (1995). Cyanobacterial metallothioneins: biochemistry and molecular genetics. J Ind Microbiol 14:119-125. U.S.E.P.A. (1991) Remediation of contaminated sediments. Washington DC EPA/625/6-91/028. Veglio F and Beolchini F (1997). Removal of metals by biosorption: a review. Hydrometallurgy 44:301-316. Veglio F, Beolchini F, and Gasbarro A (1996). 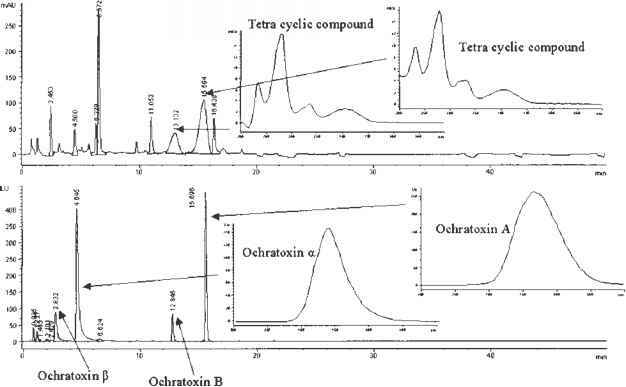 Biosorption of toxic metals: an equilibrium study using free cells of Arthrobacter sp. Proc Biochem 32:229. Venkobachar C (1990). Metal removal by waste biomass to upgrade wastewater treatment plants. Water Sci Technol 22:319-320. Volesky B and Holan ZR (1995). Biosorption of heavy metals. Biotechnol Prog 11:235-250. Volesky B and May-Phillips HA (1995). Biosorption of heavy metals by Saccharomyces cerevisiae. Appl Microbiol Biotechnol 42:807-811. Wainwright MI, Singleton I, and Edyvean RGJ (1990). Magnetite adsorption as a means of making fungal biomass susceptible to a magnetic field. Biorecovery 2:37-53. White C, Wilkinson SC, and Gadd GM (1995). The role of microorganisms in biosorption of toxic metals and radio-nuclides. Int Biodeterioration Biodegrad 35:17-40. Wilhelmi BS and Duncan JR (1995). Metal recovery from Saccharomyces cerevisiae biosorption columns. Biotechnol Lett 17:1007-1012. Yetis U, Dolek A, Dilck FB, and Ozcengiz G (2000). The removal of Pb(II) by Phanerochaete chrysosporium. Water Res 34:4090-4100. Zhao M and Duncan JR (1998). Column sorption of Cr(VI) from electroplating effluent using formaldehyde cross-linked Saccharomyces cerevisiae. Biotechnol Lett 20:603 -606.